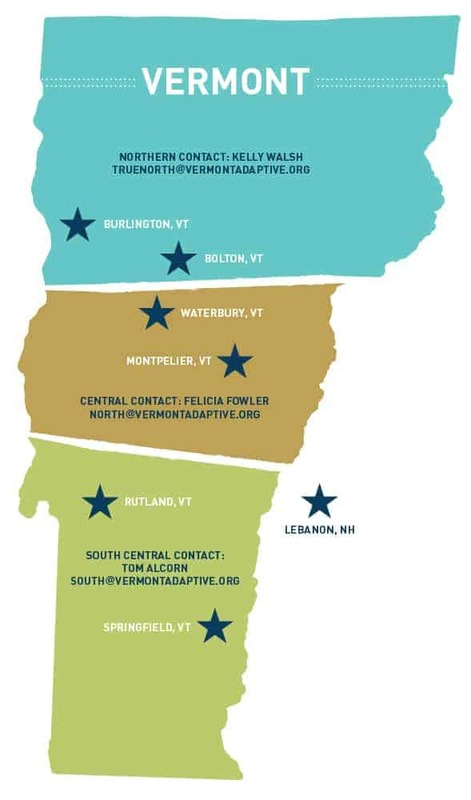 Vermont Adaptive is honored to provide programming in locations throughout the entire State of Vermont. These locations represent our current programming. We continue to add program locations so check back often. We also have mobile capabilities with trucks, trailers and equipment haulers to come to you! If you wish to receive updates to learn about new programs as they are announced, please sign-up of our newsletter. For more information about having Vermont Adaptive design a program in your location, contact Tom Alcorn at south@vermontadaptive.org. For details on how to contact us, please visit our Contact Us page.